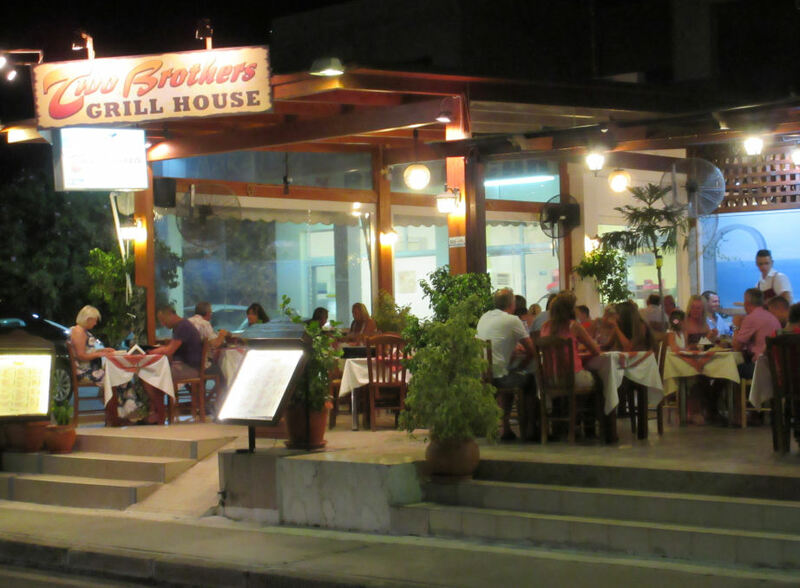 The Two Brothers Grill House Restaurant is situated in the heart of Pefkos, in the Main Street. The Two Brothers Grill House is a popular and well reviewed restaurant which is often very busy. 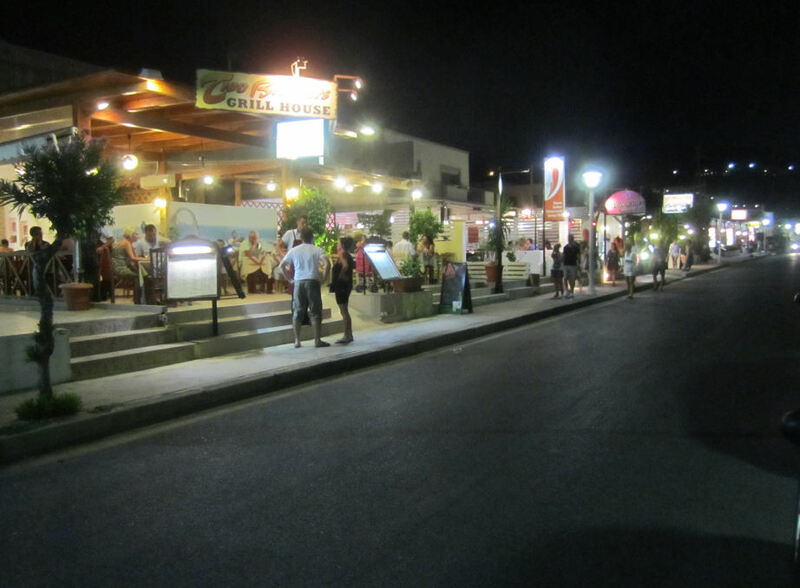 Many Pefkos visitors cite the Two Brothers amongst their favourites. The restaurant specialises in food mainly from the grill, and meat dishes such as "a Trio of Pork". Interestingly for a Grill House, it also get commended for it's potatoes!